with friends who share our love for the mountains and adventure. in the power of the ascent, a passion for adventure, teamwork, responsibility, safety, and the pursuit of dreams. 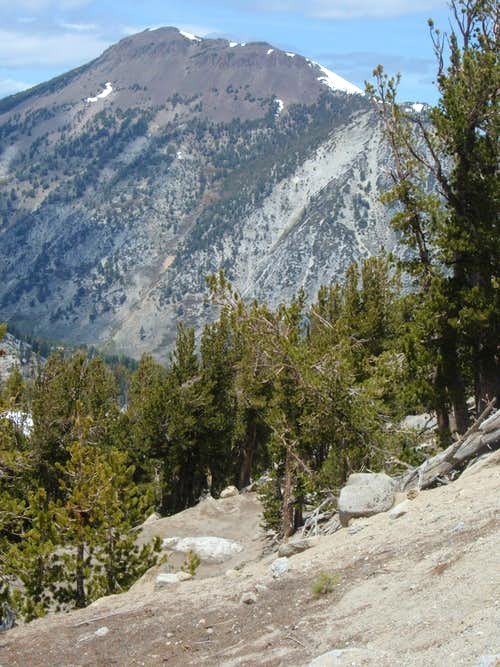 Join MAA members for a classic Tahoe area peak hike. Donner Peak is a scenic rocky peak with views of the Donner Pass and Donner Lake area. Loaner gear may be available. We have room for 8. Hope to have you out with us! 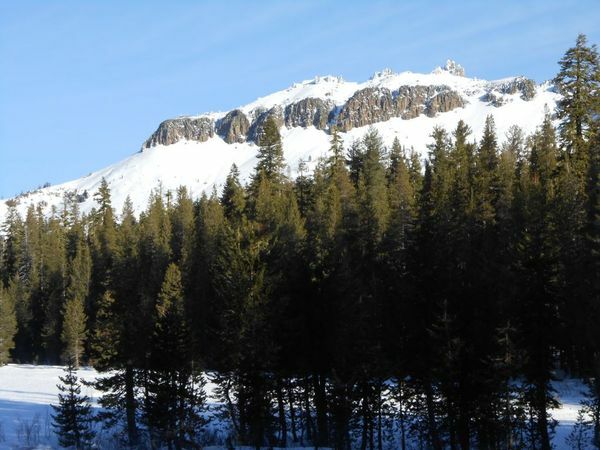 What's happening: Hiking or snowshoeing up the west slopes of Donner Peak, elev. 7,056, near Truckee, CA. Approx. 1,000' gain from Sugarbowl. What to bring: Daypack, lunch, water, trekking poles, snowshoes, wicking layers, storm layers, headlamp. Medical: If you have any medical conditions pertinent to your participation on this event, please inform the event leaders after registration. In order to register you must be a Base, Peak, or Apex member. Event leaders are experienced volunteers, but may not be certified guides. This event is free of charge. MAA receives no direct financial gain for organizing and supporting this event. Participant safety is our top priority. The itinerary described is the plan; however, circumstances beyond the leader's control may necessitate changes. The event begins and ends at the trailhead. MAA does not insure ridesharing or other travel arrangements and bears no responsibility for them. Carpooling, ride sharing, or anything similar is strictly a private arrangement among individuals. MAA event leaders carry communication devices and a medical kit; The primary event leader has current wilderness first aid and CPR training as well as MAA policy training. Joshua Tree Climbing! Meet up with other MAA members for some sublime desert rock top roping! Open to all members. Bring your gear and belay skills. We have room for up to 8 people. Hope to have you out with us! What's happening: Top rope rock climbing at Joshua Tree NP. Exact crag will be determined that morning. What to bring: Rock shoes, helmet, harness, approach shoes, belay device, locking carabiners, jacket, water, lunch. 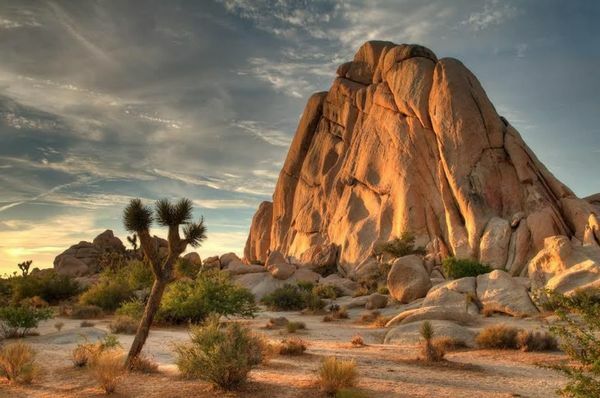 Where to stay: Accommodations are self-arranged, recommended Ryan Rocks CG, Hidden Valley CG, Indian Cove CG, Black Rock CG, or BLM land, or in the town of Joshua Tree / Twenty Nine Palms. Join MAA for a spring ascent of Sierra giant Mount Keith along the eastern edge of Sequoia National Park. This event features an aesthetic couloir climb on a "near 14er" in the seldom visited Shepherd Pass region. Overnight snow camping, SNOW 2, MTN 1 or equivalent snow climbing skills required along with excellent fitness. Loaner gear may be available. We have room for 6. Hope to have you out with us! What's happening: Climb Mt. Keith (13,977') via the south side couloir. Snow climb with class 2-3 scramble along the way and near the top. Base camp will be at the beautiful Anvil Camp. Where to meet: Chevron at 130 S Edwards St, Independence, CA 93526, 6:00 am. What to bring: Mountaineering boots, crampons fit to boots, ice axe, helmet, snowshoes, backpack (40-55L), 4-season tent or bivouac, stove, fuel, food for 2 days, sleeping bag, pad, trekking poles, appropriate layers (insulating, wind and waterproof), down jacket, gloves, gaiters, warm hat or balaclava, sun hat or covering, sunglasses or glacier glasses, map, compass, bowl, spoon, personal items. Some items will be shared between participants and will be selected at the trailhead. 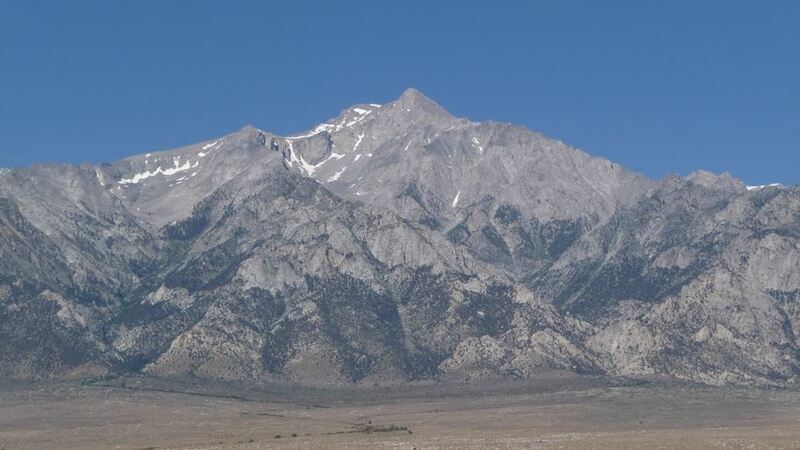 The Event Leaders will procure the required wilderness permits for this area of Inyo National Forest. The several stream crossings near the beginning of the route could be challenging due to high snowmelt at this time of the year. Water shoes and trekking poles are a must, and team members will be expected to help each other as needed. DAY 1: May 18th - Meet in Independence at 6 am. Meeting location is the Chevron gas station, by the deli (see address above). Logistics, gear, vehicles. Team members will also have the option to meet directly at the Shepherd Pass trailhead by 7 am. Drive to trailhead, hike/snowshoe up to Anvil, establish camp. DAY 2: May 19th - With an early start, climb to the summit via the south side. Descend to break down camp and return to trailhead. Approximate statistics are 20 miles round trip with 8500' gain. NOTE: Inclement weather in the week prior to this trip will result in its cancellation. Event Leaders will make all efforts to determine if road is passable, but in case it is not the trip will be cancelled. Mt. Rose, NV: All levels welcome on this hike to the summit of Mt. Rose overlooking Lake Tahoe. This peak is in NE corner of Tahoe and has great views of Reno and the Tahoe backcountry. Some previous hiking experience recommended. Loaner gear may be available. We have room for 10. Hope to have you out with us! Where to meet: May 18th, 8:00 am. We will meet at the Mt. Rose Trailhead parking lot (at the summit of the Mt. Rose Highway). From Sacramento - Take HWY 80 to Truckee and take the HWY 267 south exit. At Kings Beach, turn left onto HWY 28 (East towards Reno). At the roundabout, follow signs for Reno onto HWY 431 until you reach the summit pass. You will see the Mt. Rose Trail Head on the left (large parking area with a restroom building). From Reno: Take the Mt. Rose Highway (431) to the summit pass. Trailhead will be on the right. Skills requirements: In order to be best prepared to climb safely and effectively, participants should be able to hike for multiple hours, bring winter layers to regulate body temperature, and bring adequate food and water for 6 to 7 hours of hiking. We will meet at the Mt. Rose Trailhead at 8:00 am. From there we will do quick introductions and then hit the trail. It’s a gradual ascent then decent into a meadow with the Mt. Rose waterfall at ~2.2 miles in. From the meadow the trail becomes steeper as we work our way to the ridge line with switchbacks finishing off our approach to the summit. We will take periodic breaks to shed layers, hydrate, and have snacks before reaching the summit. Depending on the weather, we will have our pack lunch at the summit and then return to the trailhead. From there, depending on the groups timeline we can head into Reno or Incline for a group celebratory lunch/early dinner and head out from there. Members receive a continuous discount at Bobcat's Outdoor Adventure Sports. Brands include ArcTeryx, Black Diamond, Petzl, Mountain Hardwear, La Sportiva, Scarpa, Outdoor Research, MSR, Beal, Garmin and more. *If you are without some of this important safety gear, it may be available for loan upon prior request, first-come, first serve (full members only). Join MAA members at the Gorge in Bishop for a weekend of top-rope rock climbing. All levels are welcome. Bring your gear and belay skills to climb many of the hundreds of routes at this rad area. We have room for 8. Hope to have you out with us! What's happening: Owens River Gorge top rope crag climbing easy 5th class to 5.9. What to bring: Rock shoes, helmet, harness, belay device, locking carabiners, PAS, slings, food, water, jacket, approach shoes, pack, tent, sleeping bag, pad, personal equipment. Accommodations: There are a number of campsites in the area. Sagebrush, BLM Climber's campground (both east of 395) are possible and likely cheapest. Saturday, May 18th: We will meet in the Central Gorge parking lot at 9am sharp (directions below). We will focus on Warm Up Wall and Great Wall of China begin. Climb until late afternoon. Based on availability, likely to camp at Sagebrush (primitive/no water) or BLM Climber's Campground east of 395 off Pleasant Valley exit. 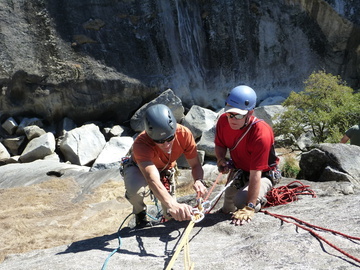 Sunday, May 19th: Break camp, head back to the gorge for another day, climbing until the late afternoon. For more information or questions about this climbing event, please contact the listed event leaders, or connect@mountainascent.org, or (916) 692-0005. 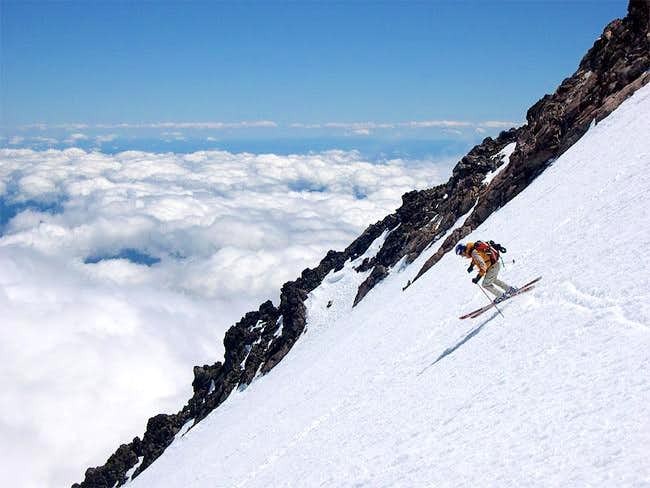 Join MAA to ascend and ski one of the best lines on Mt. Shasta - Hotlum Wintun ridge. 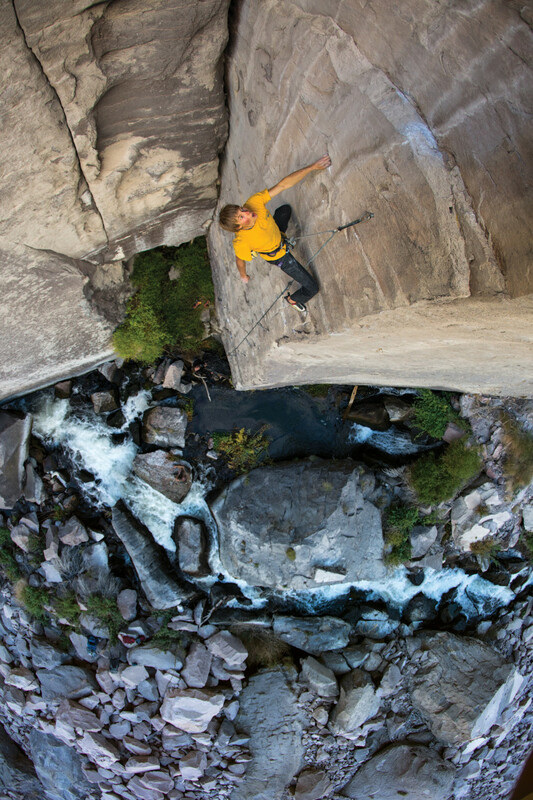 This route boasts 5,000 vertical feet of bliss. We'll share the weekend with the glacier rescue training and the Hotlum team. Experienced mountain skiers only. Loaner gear may be available. We have room for 6. Hope to have you out with us! SCREENED EVENT: Please join the waitlist. Attendees will be selected based on skill proficiency and experience as shown on their MAA profile. Those registered will be notified. Thank you! 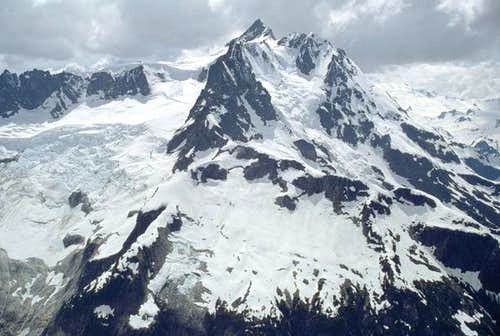 What's happening: Steep snow climbing (non-technical) then skiing the Hotlum Wintun ridge from a basecamp around 9,000. No crevasses, but snow conditions can vary widely. May experience high winds. Three days allocated for travel. Shared basecamp with other MAA teams. Where to meet: Brewer Creek trailhead 8:00 am. Info here. Fees / Regulations: There is a fee to climb, $25 per instance or $30 for the year. You will also need to pack out all solid waste. Blue bags provided. Both can be handled at the trailhead. Please see info here. DAY 1: Saturday, May 25th. Arrive at the Brewer Brewer Creek trailhead at 8:00 am. Logistics / packing. Make the approach to arrive at basecamp before dark. About 2,500 elevation gain and 4 miles. Prep for early start. DAY 2: Sunday, May 26th. Early start to attempt summit, assess conditions en route. Lock in and rip! Back to basecamp in the afternoon. Some people may decide to hike out this day if time and energy allows. DAY 3: Monday, May 27th, Memorial Day. (Weather / contingency day.) Heading back to the trailhead and drive back home. Join MAA members for a climb of Castle Peak. This is a moderate trail and snow climb to a high point with a great view of the Donner Pass area, Andesite Peak and Lake Tahoe. Likely crunchy snow will still be on the route so we'll get a chance for some elevation and to practice easy snow climbing. Loaner gear may be available. We have room for 8. Hope to have you out with us! 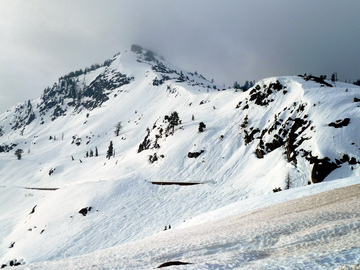 What's happening: Castle Peak 9,103 near I-80, ascending trail and some snow up the West Ridge. 6 miles total, 2,000' total gain. Women's Rock Weekend! 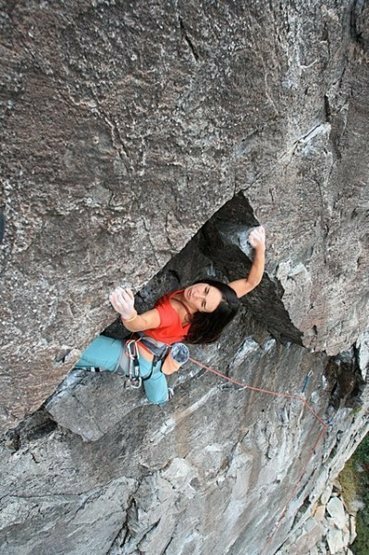 Ladies let's get together for two days of fun sport and top rope rock climbing at one of Tahoe's best crags! Prior climbing experience helpful but not required. Loaner gear may be available. We have room for up to 6. Hope to have you out with us! What's happening: Top rope rock climbing and sport climbing at Bowman Valley. This is a series of secluded crags beneath the Bowman Lake Dam where a number of easy to difficult sport climbs have been developed in recent years. The rock is heavily textured granite, with excellent friction, and ranges from slab to overhanging roofs with permadraws. There is excellent swimming in the lake by climbing above Larry Land onto the dam and crossing over the spillway. Where to meet: Take Bowman Lake Road off of Highway 20, usually approached via Interstate 80. Once you turn off of Interstate 80 and head down highway 20 (toward Nevada city) you go 3.5 miles and you will turn right onto Bowman Lake road. Continue on Bowman Lake road for 13 1/2 miles and you will come to a bridge below Bowman Lake dam. This bridge will be the landmark for the areas in Bowman Valley. The road starts out paved but the last 5 miles are gravel and a little rough in spots, high clearance vehicle recommended. What to bring: Rock shoes, helmet, harness, approach shoes, belay device, locking carabiners, jacket, warm clothes, lunch, water, tent, sleeping bag, pad, meals, stove. Saturday, June 1st: Meet in the morning, set up camp, and climb for the day. Return to camp for dinner. Sunday, June 2nd: Break camp, head back for another day, climbing until the late afternoon. Join MAA members in Canada to climb the stunning granite routes in the Bugaboos. 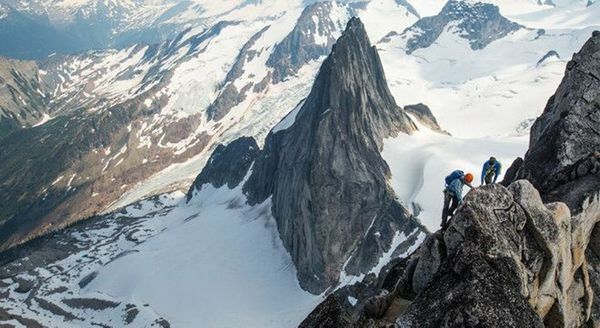 This expedition features 10 days of amazing climbing on such inspiring monoliths as the Howser Towers, and Snowpatch, Bugaboo and Pigeon Spires. Teams and routes will be sequenced over the course of 10 days from a roaming basecamp / bivouac, decided as weather and options dictate. Participants must be proficient lead climbers in alpine multi-pitch rock (Rock 8 and Rock-R) as well as proficient in glacier travel and crevasse rescue (Ice-R), or equivalent experience. Loaner gear will be available. We have room for 6 participants. Hope to have you out with us! SCREENED EVENT: Please join the waitlist. Attendees will be selected based on skill proficiency and experience. Those registered will be notified by email. Thank you! What's happening: Bugaboos alpine rock climbing in a glacier setting, multi-pitch granite routes up to Grade V, 5.10. Glacier travel between the spires, and long-term backcountry camping in wild, grizzly country, some in a basecamp and some in a bivouac. 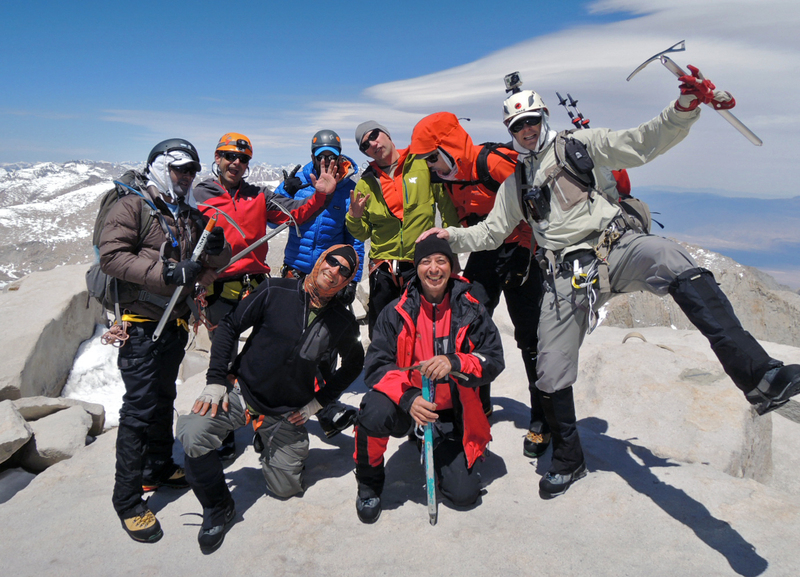 Attend expedition training on Whitney East Buttress or Whitney East Face April 26-28th. Attend team conference calls. Rock your mind in one of the most amazing places on the planet. Where to meet: 3:00 pm at TBD location near Golden, BC, on Monday, July 8th. Participant Expedition Fees: $575 per person. Pays for accommodations for participant and leaders on July 8th, 10 nights of group camping fees, mandatory operations deposit, MAA gear, buffer for unexpected expenses, and airfare or mileage reimbursement to get expedition gear and ELs to Canada. A minimum of 4 participants is required to make the expedition feasible. Fee must be paid to confirm registration, and can be paid in portions, if requested. What to bring: Rock climbing shoes, harness, helmet, auto-locking belay device, 4 locking and 3 non-locking carabiners, PAS, 2 slings, cordelette, prusik, crampons, ice axe / tools, 15-30 liter climbing pack, 50 - 70 liter approach pack, approach shoes / boots compatible with your crampons, appropriate waterproof and breathable / wicking baselayer, mid-layers, and shell jacket, food for 10 days, bivy, water bottles, sleeping pad, sleeping bag, radio, headlamp, trekking pole(s) personal items. Group gear such as rock protection, ropes, tents, stove, fuel, etc. will be determined beforehand using group spreadsheet and conference call(s). If you are in need of loaner gear from MAA, please give the ELs advance notice. Additional Info: Bear canisters or bear-proof containers are required. Prior: General expedition conference call April 10th. Team members only call in June TBD. Prior: April 26th - 28th, Mt. Whitney East Buttress or Mt. Whitney East Face training climb. DAY 1: Monday, July 8th - Meet and greet in Golden BC. Dinner, logistics, stay the night in town. DAY 2: Tuesday, July 9th - Pick up permits, drive out to the TH, hike to and establish first basecamp at Applebee campground. Dinner, evening meeting for logistics and gear. DAY 3 - DAY 10: Wednesday, July 10th - Wednesday, July 17th - Climb assorted routes in teams of two or three. Kelvin and Darren will be the main lead climbers, swapping leads as appropriate with other participants. Teams may climb the same spire by different routes, or we may split up as appropriate, as long as we can all return to the same basecamp each evening. Some routes will require travel over glaciated passes and bivouacking. There will be some days off for rest and weather. DAY 11: Thursday, July 18th - Take down basecamp, head back to the trail head and drive back to Golden, BC. Join MAA members to climb the stunning Mt. Shuksan via the classic Fisher Chimneys route. Shuksan is a rugged, glaciated massif and one of the most photographed peaks in the North Cascades. This route contains all the elements of an engaging climb with rock, alpine ice, and glaciers. Recommended for members are proficient with all their alpine climbing skills. Loaner gear may be available. We have room for 9. Hope to have you out with us! SCREENED EVENT: Please join the waitlist. Attendees will be selected based on skill proficiency and experience. Those registered will be notified. Thank you! What's happening: Mt. Shuksan, 9,131', Fisher Chimneys route, Class 4, glacier travel, alpine snow/ice. Roped travel, rappelling and scrambling in an alpine environment. Participants should be proficient with multi-pitch alpine rock climbing, scrambling, glacier travel and crevasse rescue, steep snow / alpine ice climbing, and self arrest. Where to meet: Mt. Baker Ski Area July 22nd, 9:00 am. What to bring: Harness, helmet, mountain boots, steel crampons fit to your boots, mountain axe with leash or runner to connect to harness, belay device, prusik, 2 locking carabiners, PAS, 48" runner, 2 non-locking carabiners, 30 - 45 liter climbing pack, warm, stormproof layers for upper and lower body, gaiters, food, waterbottles, sleeping bag, sleeping pad, trekking pole(s). Ropes, protection, tents, stoves and other group gear will be determined beforehand, likely supplied by MAA. Expedition Fee: $149 per participant. This pays for mileage or airfare to get gear and ELs to Washington. Registration is confirmed upon payment of expedition fee. Refund policy: Full refunds outside of 90 days, 50% refund between 30 and 90 days, no refund possible closer than 30 days. Travel and gear coordination: Group spreadsheet on G-Drive will be shared with confirmed participants. Prior: April 10th 7:00 pm expedition team conference call to coordinate training opportunities and logistics. Prior: General discussion on the member's forum. DAY 1: Monday, July 22nd - Meet and greet at Mt. Baker Ski Area at 9:00 a.m. Get permit, go up trail to set up basecamp. DAY 2: Tuesday, July 23rd - With an early start, climb Fisher Chimneys route, return to basecamp, or all the way back to the trailhead. DAY 3: Wednesday, July 24th - Contingency / weather day. 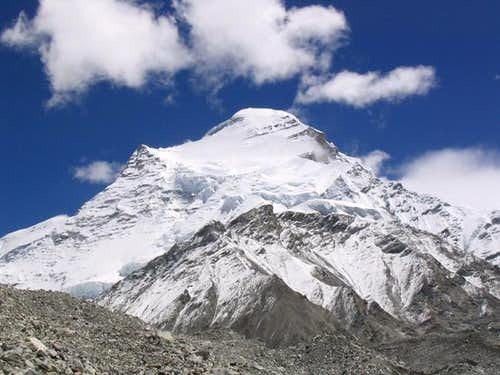 Join MAA members to climb Cho Oyu, the 6th highest mountain in the world. Considered one of the easiest 8,000 meter peaks, Cho Oyu is still a world-class achievement and a serious understaking. This expedition features classic expedition mountaineering and the experience of a lifetime with your MAA team. Participants must be experienced climbers with high altitude experience and independently proficient in cold-weather, high altitude climbing, and glacier travel and crevasse rescue. Loaner gear will be available. We have room for 8 participants. March 20th Nepal Expeditions Conference Call recording here. Participant Expedition Fees: TBD. Estimated to be between $18,000 - $20,000 per person. Price will officially be determined when info is received on China climbing permit costs. This covers our costs with our excellent in-country partner Top Himalayan Guides, which provides all our accommodations and food for the treks and the climb of both mountains, Sherpa trekking and on-mountain support, flights to Lukla, Nepal permits, MAA operations fee, MAA gear, a portion of EL flights and participant fees, and costs for offering prior training dates with the team. A minimum of 4 participants is required to make the expedition feasible. Fee must be paid to confirm registration, and can be paid in portions, if requested. Participant Expedition Fees do not cover round-trip flight to Kathmandu, summit day food, summit day bonus, and meals in Kathmandu. Refund Policy: Full refund outside of 120 days, 50% refund 120-90 days, no refund closer than 90 days from departure. Event Leaders: Paul Shaughnessy paul@mountainascent.org, Todd Martin, todd@mountainascent.org. Nepal partner: Top Himalayan Guides will be assisting with logistics, permits, certified personnel and general expedition support. Special note on travel: The exact itinerary is dependent upon a number of factors such as weather, mountain conditions, and team dynamics which may affect the actual day we are back in Kathmandu by several days. Recommend to not schedule flights home until we return to Kathmandu. If you do schedule a return flight, it likely may get changed - moved up or back. What to bring: Comprehensive list will be supplied to the confirmed team. You will need warm double boots, mittens and all cold weather technical mountaineering climbing and camping equipment, as well as trekking clothes and gear, and travel clothes. We will have sherpa support. Shelter and meals will be supplied by Top Himalayan Guides. Prior: One of two weekday evening conference call(s), TBD. Confirmed team members will be notified of exact day and time. Join MAA members in Nepal to climb Kyajo Ri, a stunning 20,295' peak in the Khumbu. This expedition features the complete alpine experience on an uncrowded beauty - steep alpine ice and rock climbing that leads to an airy summit with magnificent views of the Himalayas. 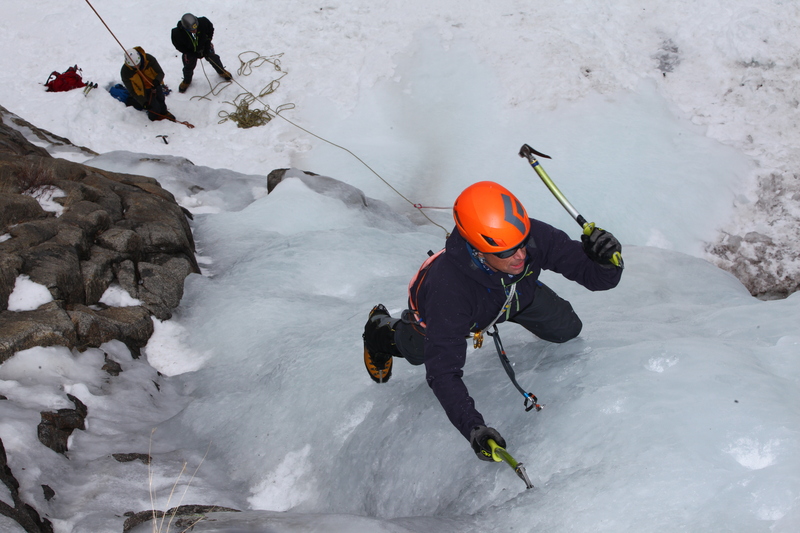 Participants must be proficient in ice climbing, rock climbing, and glacier travel and crevasse rescue. Loaner gear will be available. We have room for 9 participants. What's happening: Kyajo Ri, 20,295'. Steep alpine ice up to 65 degrees and rock climbing up to 5.7 in alpine style, teams of 2 or 3. Sixteen days of international travel, high altitude trekking, incredible culture and food, and fast and light alpine climbing with your team. No fixed lines on a less crowded Himalayan peak. No oxygen required, but will be available in emergencies. Sherpa and basecamp support. To prep, attend team conference calls and training opportunities summer 2019. Share the itinerary with the Ama Dablam team. Rock your mind in one of the most amazing places on the planet! Minimum / maximum participants: 5/8. We must have a minimum of 5 participants for the expedition to be feasible at this price. 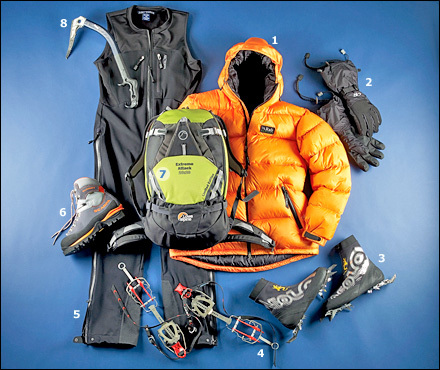 MAA group technical climbing equipment - ropes, protection, etc. Payment and Refund Information: A minimum of 5 participants is required to make the expedition feasible. Fee must be paid to confirm registration, and can be paid in portions, if requested. Full refund outside of 90 days, 50% refund 60-90 days, no refund closer than 60 days from departure. If we do not meet our minimum by 90 days ahead, we will cancel the expedition and provide a full refund, or discuss options for adjustments. Special note on travel: The exact itinerary is dependent upon a number of factors such as weather, mountain conditions, and team dynamics which may affect the actual day we are back in Kathmandu by several days. We recommend to not schedule return flights until we return to Kathmandu. If you do schedule a return flight, it likely may get changed - moved up or back. What to bring: Comprehensive list will be supplied to the confirmed team. In general you will need warm double boots, mittens and all cold weather technical mountaineering personal climbing equipment, a warm sleeping bag, trekking clothes and gear, and travel clothes. We will have Sherpa support to carry gear to basecamp, and tents and mats are supplied. There are no fixed lines on Kyajo Ri - all climbing is alpine style. All shelter and meals will be supplied by Top Himalayan Guides. Prior: Weekday evening video conference calls, and online coordination. March 20th Nepal Expeditions Conference Call Recording here. Additional calls will be scheduled. Prior: Training climbs in CA in June, Aug, or Sept, TBD. Saturday, Sept. 28th - Leave the US. Cross international date line. Arrive in Kathmandu on Monday, Sept. 30th. Day 1, Sept. 30th: Arrive in Kathmandu (1,343m) and transfer to hotel. Orientation with THG and logistics. Day 2: Early flight to Lukla (2,866m) and trek to Phakding (2,640m). Day 3: Trek to Namche Bazar (3,440m). Day 4: Acclimatization and short day trip to Everest viewpoint (3,856m), visit Sherpa village to Khunde, Khumjung and back to Kyangjuma for the night. Day 5: Trek to Mende (3,736m). Day 6: Trek to Kyajo Ri base camp (4,550m). Day 7: Rest and acclimatization at Kyajo Ri Base camp. Day 8: Trek to Kyajo Ri Camp 1 (5,200m). Day 10: Climb Kyajo Ri peak (6,186m) and back to Camp 1. Day 11: Trek to base camp. Day 12: Trek back to Namche Bazar. Split from the Ama Dablam team. Day 13: Trek back to Lukla. Day 14: Early flight Lukla to Kathmandu. Day 15: Kathmandu city sightseeing, bit of shopping and farewell dinner. Day 16, Tuesday Oct. 15th: Flights home. 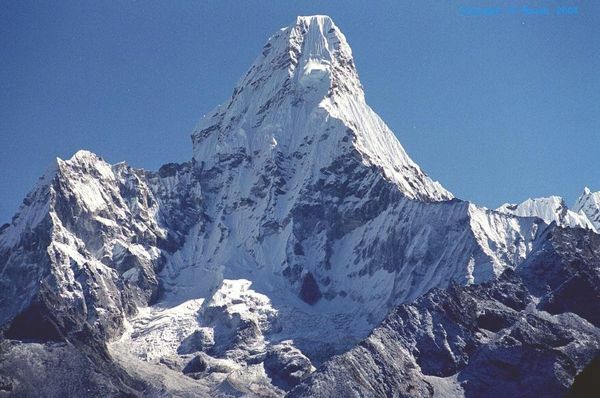 Join MAA members to return to Nepal to climb Ama Dablam, one of the most beautiful peaks in the world. 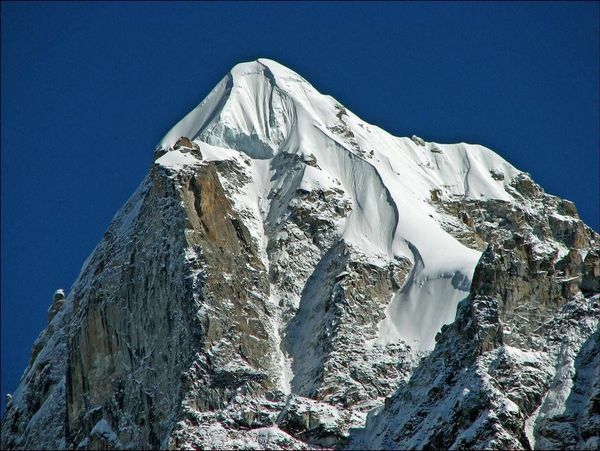 Absolutely captivating and austere at 22,349' this is one of the most coveted mountains in the Himalaya. This expedition features climbing and camping on the precipitous NW ridge, challenging steep alpine ice and rock climbing, and a magnificent ascent to breath-taking views of Everest and other 8,000 meter peaks. Also included in this expedition is an acclimatization climb on 20,295 Kyajo Ri, trekking in the Khumbu and enjoying the culture and hospitality of the Nepalese. Participants must be experienced climbers with high altitude experience and independently proficient in ice climbing, rock climbing, and glacier travel and crevasse rescue. Loaner gear will be available. We have room for 5 participants. What's happening: Ama Dablam 22,349', SW ridge, steep snow and alpine ice up to 65 degrees and rock climbing up to 5.8, teams of 2 or 3. Two camps above basecamp, and single push strategy, with multiple days built in for weather / contingencies. Climb 20,295 Kyajo Ri for acclimatization just prior, this is a challenging alpine rock and ice ascent as well, view Kyajo Ri expedition posting. Twenty eight days of international travel, high altitude trekking, incredible culture and food, and incredible alpine climbing and mountaineering with your team. Fixed lines and set camps on Ama Dablam, no fixed lines or set camps on Kyajo Ri. No oxygen required, but will be available in emergencies. Climbing Sherpa and porter support. To prep, attend team conference calls and training opportunities summer 2019. Share the itinerary with the Kyajo Ri team. Minimum / maximum participants: 4/5. We must have a minimum of 4 participants for the expedition to be feasible at this price. Payment and Refund Information: A minimum of 4 participants is required to make the expedition feasible. Fee must be paid to confirm registration, and can be paid in portions, if requested. Full refund outside of 90 days, 50% refund 60-90 days, no refund closer than 60 days from departure. If we do not meet our minimum by 90 days ahead, we will cancel the expedition and provide a full refund, or discuss options for adjustments. Prior: Weekday evening video conference calls, and online coordination. First call was March 20th, view recording here. Additional calls will be scheduled. It's No Fluke....It's a Dead Man!